Illinois Farm Bureau (IFB) members today urged President Donald Trump to support American farmers by continuing trade negotiations with Canada and Mexico and remaining a part of the North American Free Trade Agreement (NAFTA). 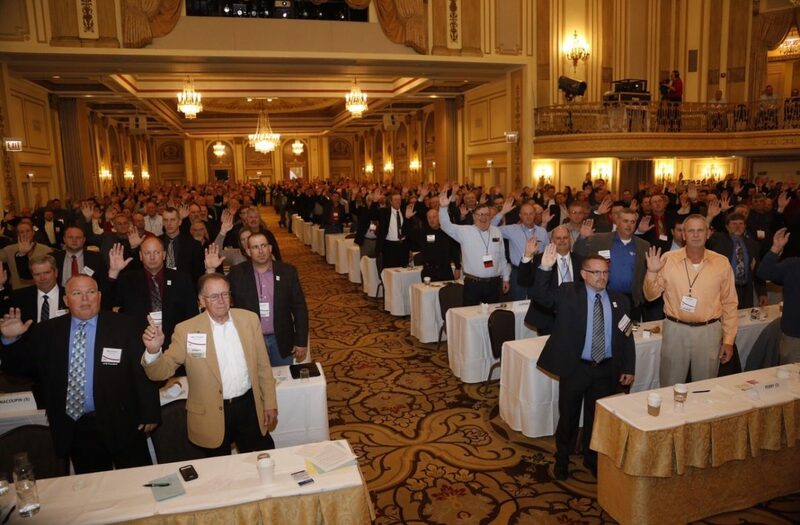 To underscore the importance of NAFTA, voting delegates to IFB’s annual meeting, which was held in Chicago Dec. 2-5, passed a sense of the delegate body resolution expressing their strong support of the 23-year-old trade deal. IFB has been vocal in its support of NAFTA, asking members to call and register their support with Congressional representatives and visiting with elected officials. During the IFB Annual Meeting, members also participated in a call to action, sending more than 1,100 emails in support of NAFTA to lawmakers. The Illinois Farm Bureau is a member of the American Farm Bureau Federation, a national organization of farmers and ranchers. Founded in 1916, IFB is a non-profit, membership organization directed by farmers who join through their county Farm Bureau. IFB has a total membership of 398,283 and a voting membership of more than 79,450. IFB represents three out of four Illinois farmers.